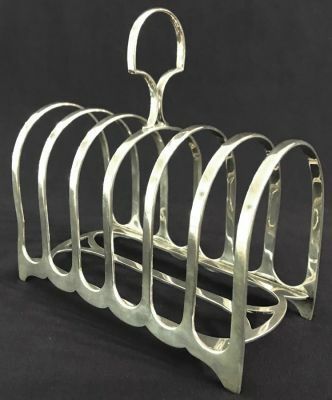 Edwardian sterling silver toast rack. Fully marked for Sheffield 1910. Silversmiths William Hutton & Sons Ltd.
6” by 3”, 6 1/8” high.